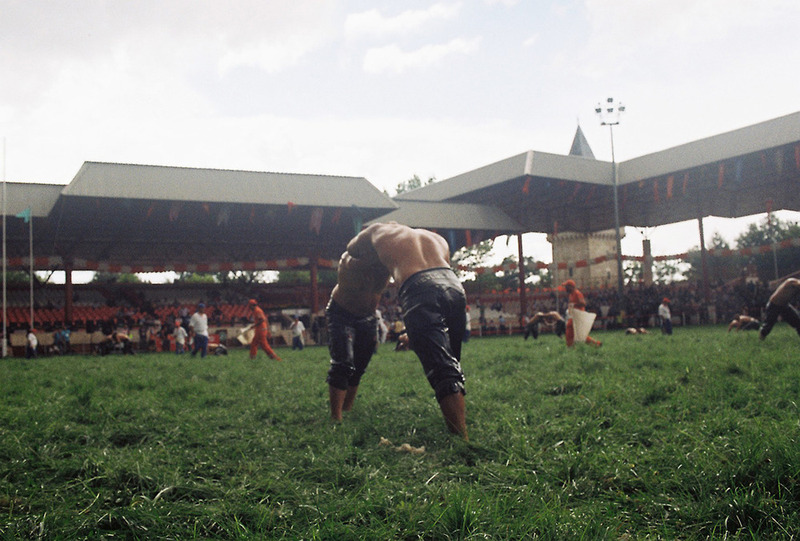 Edirne, in northwestern Turkey, is home to an annual competition that has existed since 1362. Billed as the world's second-oldest athletic tournament—after the Olympic Games—it's also the largest showcase for the Turkish national sport of oil wrestling. This time-honored event has one noticeably different ingredient from wrestling bouts elsewhere: olive oil, and lots of it. The one thousand or so contestants at Kirkpinar, as the competition is called, use an estimated thousand kilograms (about one ton) of the all-natural unguent throughout the one-day tourney. In addition to its aesthetic benefits, being slathered in oil prevents an opponent from easily gaining leverage. Wrestlers tend to compensate by reaching down the opponent's trousers—a conventional and totally legal move. Kirpinar draws contestants of all sizes and ages and takes place in an open stadium that fits more than 25,000 spectators. Combatants wear kisbet, skintight shorts that are made of buffalo or calf hide. 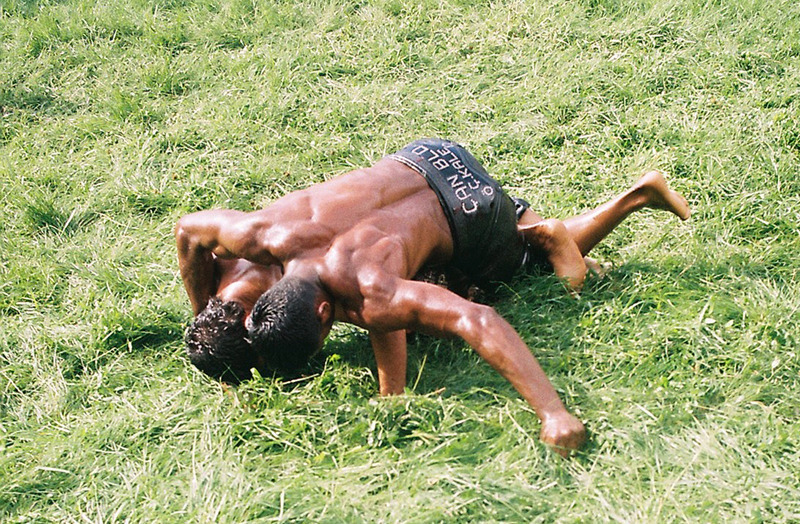 Most matches end with one combatant being pinned on the grass, but a contender may also secure a victory—and ultimately the title—by decisively elevating his opponent above his shoulders. The event is spiced with pre-combat rituals. When the master of ceremonies announces an athlete's name and trademark move, the contender responds by striding onto the field, slapping his legs and otherwise showcasing his physique, an intimidating performance known as a peşrev. There is an award for best peşrev, too. Kirkpinar is said to have been started by 14th-century Ottoman soldiers on the march. The last two combatants remaining, who were brothers, grappled until both died of exhaustion. To avoid a repeat of that tragedy, matches today are limited to 40 minutes, and the threat of receiving an ihtar—an official warning issued to a wrestler deemed not to be putting up enough of a fight—keeps things moving. Tradition more or less forces competitors to begin each match on good terms. Minutes before they go at it, they help each other oil up.